Sujoy Ghosh's edge-of-the-seat thriller Badla has been raking in the big bucks at the box office. The film, starring Amitabh Bachchan and Taapsee Pannu in lead roles, witnessed a growth of 12.40 percent on Sunday, and minted a whopping Rs 9.61 crores, pushing its gross total earnings to Rs 27.38 crore. Moreover, the film has also surpassed the weekend business of Pink and 102 Not Out, which accumulated Rs 21.51 crore and 16.65 crore respectively. According to trade analysts, good word-of-mouth has converted into massive footfalls in the film during the weekend, despite competition from the latest MCU offering Captain Marvel, and family entertainers Total Dhamaal and Luka Chuppi, which are in their third and second week of release respectively. Over the weekend, the film found traction not only in the metro cities but also in tier-2 and 3 cities. Badla is likely to maintain its stronghold over the box office even during the weekdays. Sun [vis-à-vis Sat]: 12.40%... Affected due to the cricket match. Badla is the remake of the 2016 Spanish thriller film Contratiempo. 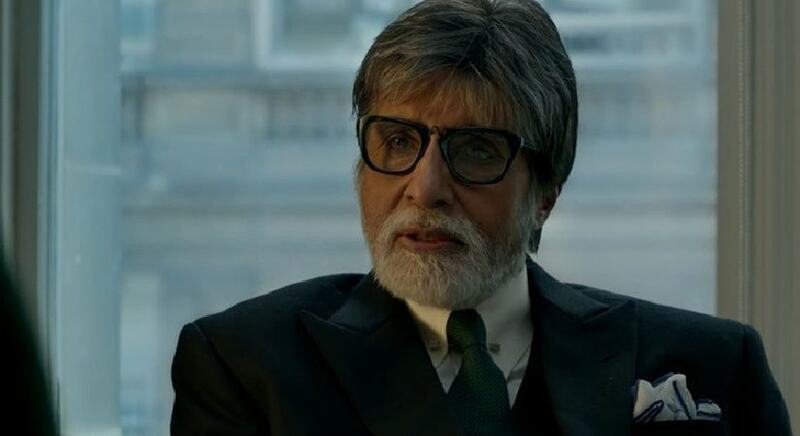 Bachchan plays Badal Gupta, a criminal defence lawyer, who has not lose a case in more than 40 years. Pannu's character, who believes she has been framed for murder, becomes his new client.